Can hospitals promote economic and social well-being in their surrounding communities? 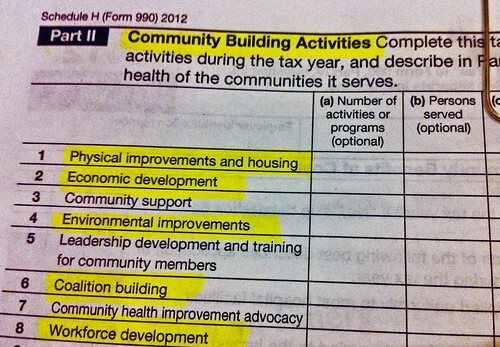 The 2012 IRS Form 990, Schedule H, offers a new set of acceptable “Community Benefit” activities for hospitals. Come to Leveraging The Power of Anchor Institutions to Build Community Wealth at MIT on Wednesday, May 8th. This event is free and open to the public. You can participate from home or office via livestream, Twitter via #anchorpower, or you can call in your thoughts, questions, and stories to (888) 805-9122.